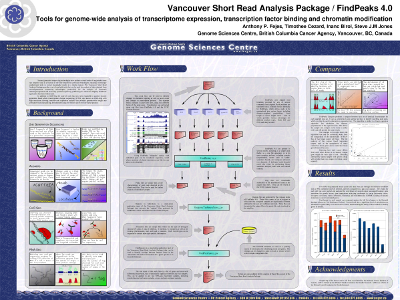 >In an earlier post, I said I’d eventually get around to putting up a thumbnail of the poster that I presented at the Canadian Institutes of Health Research National Research Poster Competition. (Yes, the word “research” appears twice in that sentence.) After a couple days of being busy with other stuff, I’ve finally gotten around to it. I’m also happy to say that the poster was well received, despite the unconventional appearance. It was awarded an Award of Excellence (Silver category) from the judges. >FindPeaks 4.0 will be tagged shortly, and it was the focus of my latest poster…. the one that included all of the comics. Since I’ll be presenting it on wednesday, I figured I may as well post it up here, just in case. You can now find it on the right hand side of the page – I’ll probably update this post when I’ve got a few more minutes, to include a thumbnail.